The Selections: Bay Area exhibit, featuring the works of San Francisco artists Anne Subercaseaux and Flora Davis, will be on display at the SLO Museum of Art through Aug. 19. A reception with the artists will be held June 23 from 2 to 5 p.m. Admission is free and refreshments will be provided. Visit sloma.org for more information. For 30 years artists Anne Subercaseaux and Flora Davis have bonded over two common threads: their art mentor Elaine Badgley Arnoux and the city of San Francisco. NATURAL MEETS INDUSTRIAL While artist Flora Davis works with metal, she seeks to give it an earthier look in pieces like Cenalopod. Her work in inspired in part by the juxtaposition of urban sprawl, forest, and ocean found within San Francisco. While the two have often shared studio space and have been featured in group art shows together, the Selections: Bay Area exhibit that's currently on display at the San Luis Obispo Museum of Art, marks their first duo show. While both women now call San Francisco home, they each relocated to the city as young adults, Davis from Southern California and Subercaseaux from New York. In a note in the program for the show, Badgley Arnoux described her former pupils as, "two creative and dedicated women mixing daily life with the complexity of creating art, each journey their own." Subercaseaux lives near the Dolores Mission and creates oil paintings, and Davis lives near the Presidio and favors metal. Both of their artistic styles could be labeled abstract. Subercaseaux, who has a background in drafting for engineering and architecture, takes inspiration from the structures found in the city, the shadows and the light bouncing off buildings. "There's a lot here to capture," Subercaseaux said. "I don't have to go far to be inspired." 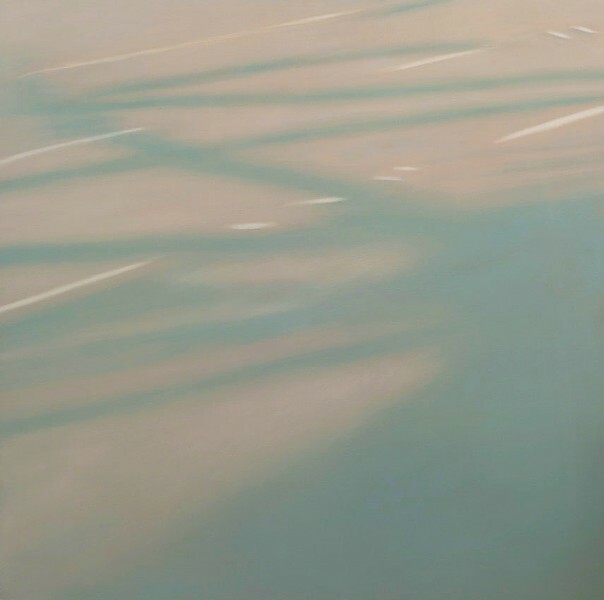 A series of her paintings, including Reflections on Crossing XXIV, were inspired by a time in her life when Subercaseaux was commuting across the Bay Bridge. She also crafted a series of monochromatic paintings after looking at the interiors of more modern buildings. "When I see new buildings go up, I always look at them. It's a fascination," Subercaseaux said. 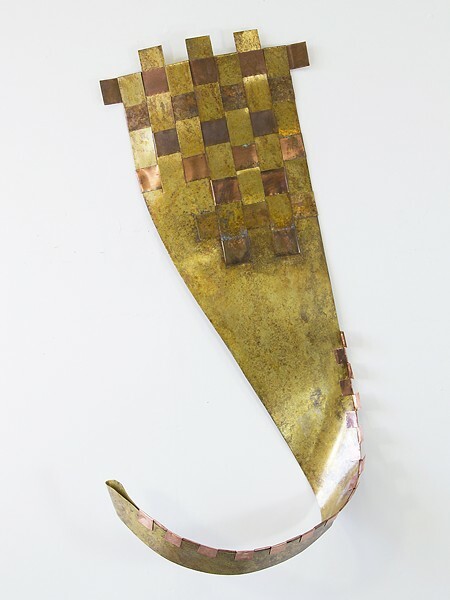 In her work, Davis often favors bronze and will crinkle, scratch, weave, and put hooks in the material to take off some of the shine and give the finished product a more matte, earthy look. DOWN BY THE BAY Pieces like Anne Subercaseaux's abstract oil painting Reflections on Crossing XXIV, were inspired by commuting across the Bay Bridge for a period of time. "It's not the plain metal anymore," Davis said. "It's becoming something else. When I do these pieces they become a form of meditation. It's something to bring calmness to your environment." A fusion of industrial and natural elements inspires Davis' work in an indirect way. While she lives in a major city, she's near the Presidio by Mt. Lake Park and not far from the ocean, either. Arts Editor Ryah Cooley is addicted to Bi-Rite Creamery, located across from Dolores Park. Contact her at rcooley@newtimesslo.com.